Summit1g was streaming the new Apex Legends Battle Royale game on his channel, playing with a few friends. It came down to three squads left in the game, which one of them were Summit1g’s squad. What he does next with Apex Legends Wraith will impress you. Apex Legends – Best Battle Royale Game? Apex Legends is the newest Battle Royale game by EA Games. EA Games were on the sidelines, seeing the success of Fortnite and Blackout. But while waiting on the sidelines, they were creating a game that was going to compete with both Fortnite and Blackout. With just less than a week after deploying the game on the three main platforms (PC, PS4, Xbox), Apex Legends has grew to 10 million players and 1 million concurrent players, beating Fortnite’s record. It’s a big milestone for EA Games, who were late to the Battle Royale table, nonetheless, making it to the top in less than a week. Summit1g started streaming Apex Legends on his Twitch Channel. Being an elite gamer, it was a matter of time before Summit1g would start to show highlight reels on his channel. 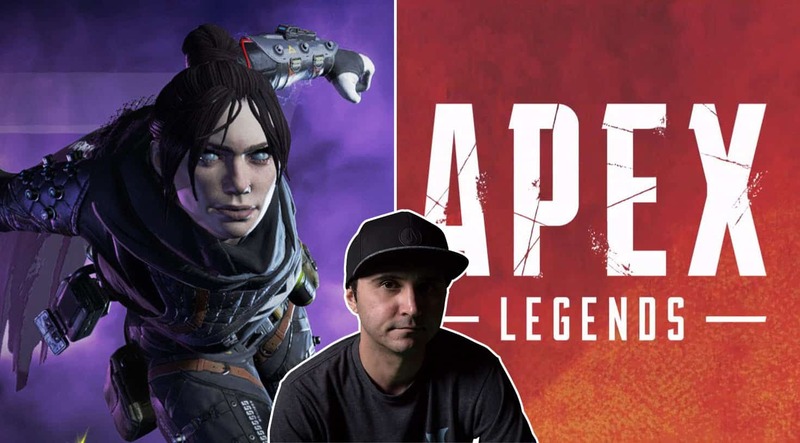 One of Summit’s favorite characters to use in Apex Legends is Wraith. Since the character was already choose, Summit was using Bangalore. But it didn’t stop him from utilizing Wraiths ability. With Apex Legends Wraith Ultimate Ability, it’s understandable why players like Summit1g prefer to use her. And one of the most used abilities is Wraith’s Ultimate ability which is called the Dimensional Rift. Summit1g shows us how Wraith’s Dimensional Rift is used to perfection in this clip. ﻿ As you can see, his teammate placed the dimensional rift in a perfect location, where the tail-end of it was in a popular area which had enemies at the time of usage. Summit1g can be seen using the dimensional rift, transporting to the end of it and engaging in a gun fight with another squad. The beauty of this tactic was that the enemy squad had no idea Summit1g was behind them as he caught them by surprise. Summit1g then uses his gun skills to finish off the squad and getting the win for his squad. It’s an impressive clip as Summit1g had to not only use Apex Legends Wraith Ultimate ability, but also relay on his slick gun skills for the victory.